If you seek pristine beaches and good surfing conditions, head to Playa Brava, one of Punta de Este's finest shoreline attractions. Stretching several miles long, this beach boasts sand, waves, and visitor amenities. If you tire of sun bathing or water sports, head to this attraction's bar for a drink with the locals. 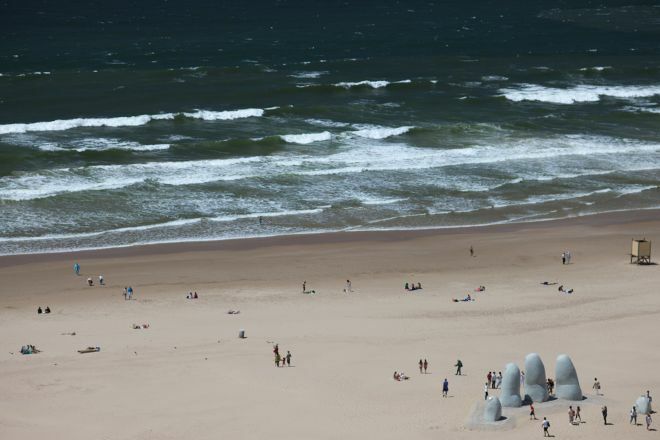 During your time here, check out the nearby sculpture Los Dedos Playa Brava, which looks like a giant hand rising from the sand. Put Playa Brava into our Punta del Este vacation planning tool to see other points of interest to visit during your vacation in Punta del Este. Beautiful beach. Lots of usable space with very good sand. Very clean in the sector we went to which was stop 3.